During my childhood years, my family celebrated Lent season. It was like spring cleaning for the soul. Not only did my mom follow the traditional religious practices, she would also change our meals to honor the Lenten traditions. We abstained from certain activities as well meat and poultry twice each week. So during Lent season, we had at least two meatless meals each week. I remember looking forward to these two meals because it meant we were having seafood. Since we lived in Puerto Rico during my childhood, it wasn’t unusual for my dad to go fishing. This came in handy during Lent season since my mom would have access to fresh seafood for her special meals. 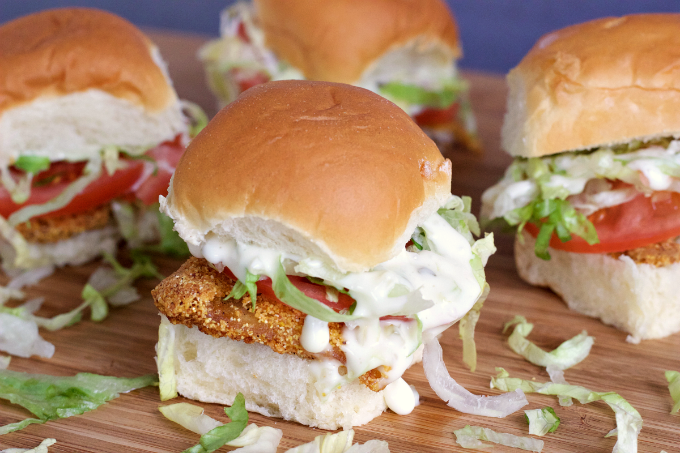 Although I don’t follow the same traditions I grew up with, I do enjoy making family-friendly seafood recipes for my family. 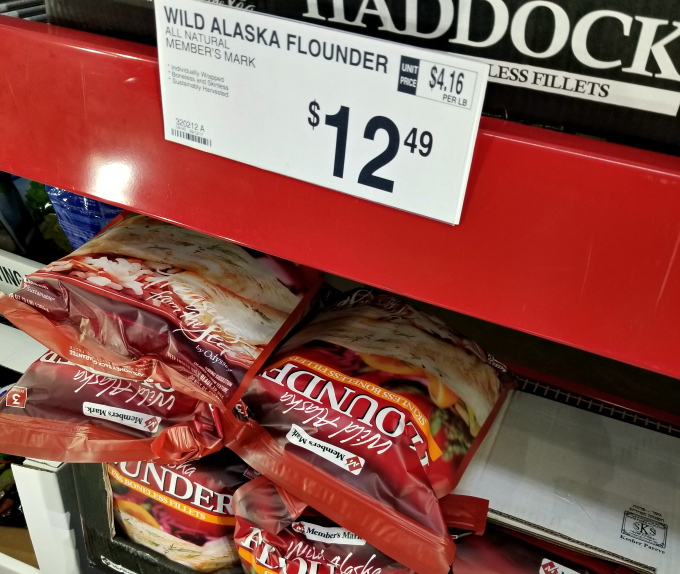 My family enjoys having seafood year-round, so I like to stock up on Alaska whitefish varieties which provide a delicious and easy way for my whole family to eat more seafood. Alaska wild fisheries contribute nearly 60% of all seafood harvested in the United States. Its cold pristine waters produce the purest, high-quality seafood. 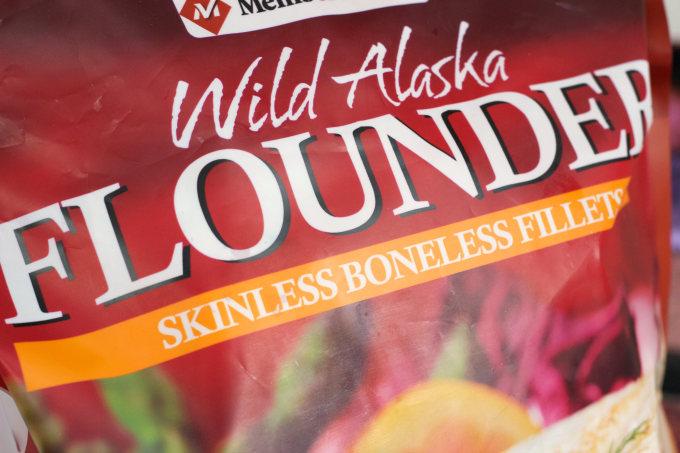 The wild-caught Alaska whitefish varieties include; halibut, sablefish (black cod), sole, Alaska pollock, and cod. These varieties are sold fresh and frozen year-round for a wide-range of seafood possibilities and healthful options. Make sure to “Ask for Alaska” or look for the Alaska Seafood logo to ensure you’re enjoying the best, most sustainable seafood in the world. 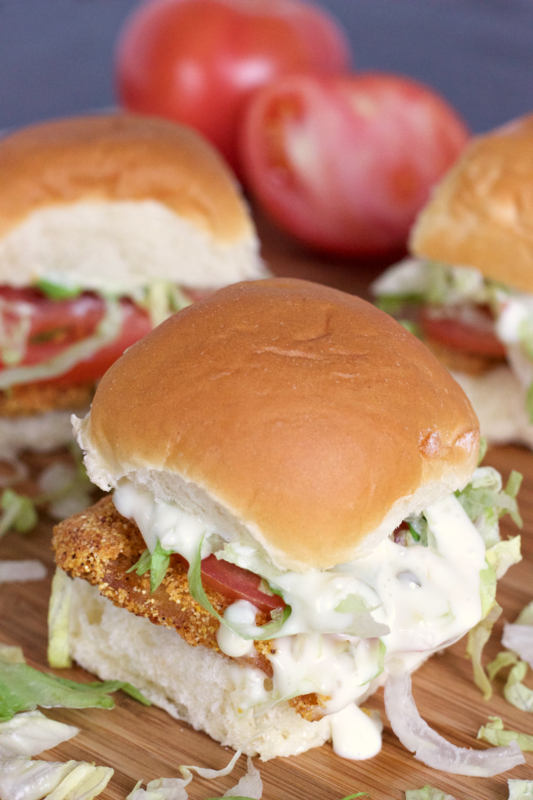 These Alaska Sole Sliders are kid-friendly and super easy to put together. Perfect for busy weeknights when you want to serve your family a delicious meal without spending hours in the kitchen. I find that Alaska sole (flounder) is easy to cook and it’s very versatile. I can pan sear it to serve with rice, or bread it to make sliders. 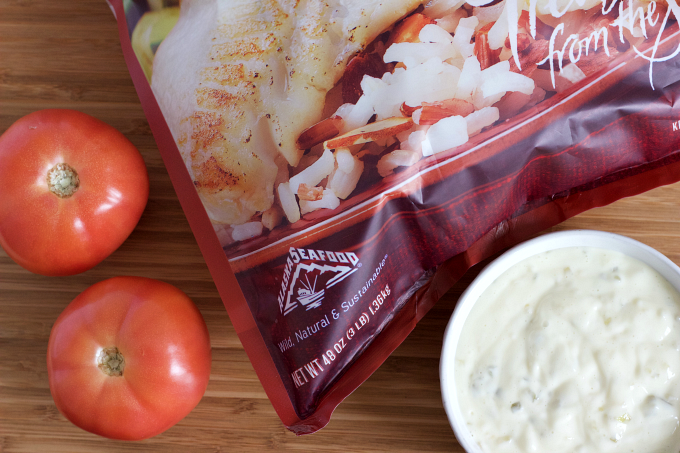 What are some of your favorite family-friendly seafood recipes? I’d love to hear from you! Make sure to visit www.wildalaskaseafood.com for hundreds of Alaska seafood recipes, cooking techniques, and tips! You can also learn why it is important to #AskForAlaska at the seafood counter and in restaurants. Thaw Alaska sole fillets according to package instructions. 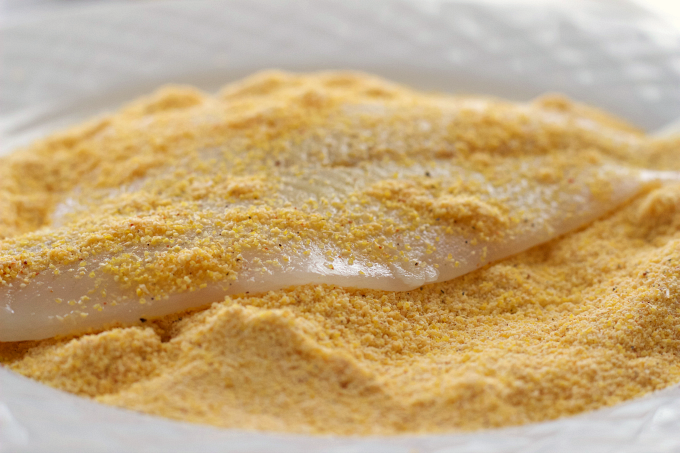 Mix cornmeal, flour, and spices in a bowl to create the breading mix. Rinse fillets in ice cold water and shake off excess. Place the fillets on the plate and coat well with the breading mix. Cook fillets over medium-heat in a lightly oiled pan until golden brown. Cut fillets into fourths and use two pieces for each bread roll. Top off with lettuce and tomato. 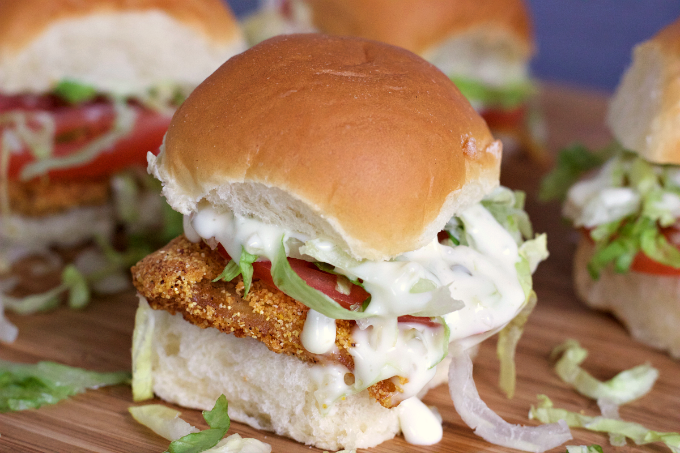 Drizzle with tartar sauce if desired.